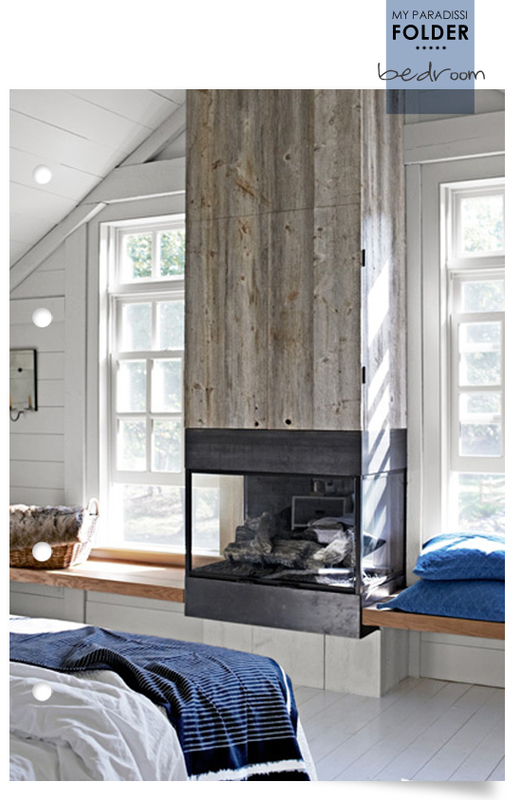 A modern touch in an otherwise classic cottage bedroom; an iron fireplace with its chimney covered by reclaimed white pine (and a secret, concealed TV space in it!). Image by Mikkel Vang via country living. 4 comments on "Folder: Bedroom"